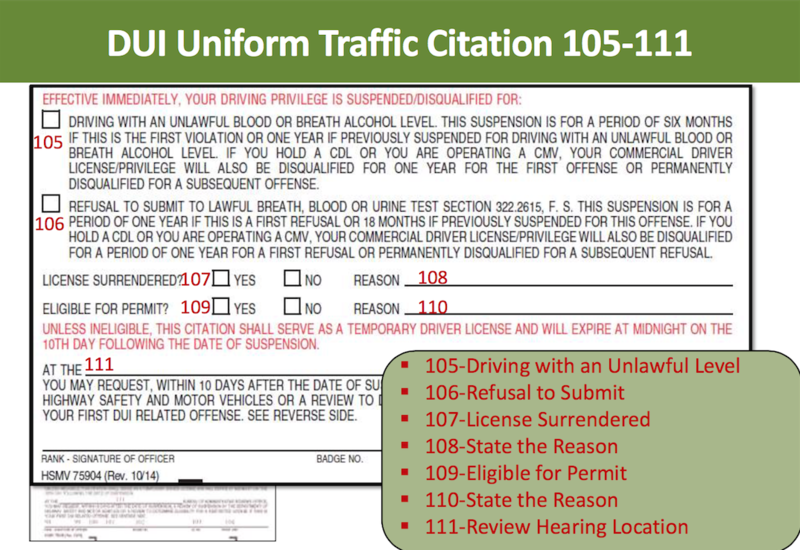 After an arrest for DUI, the DUI uniform traffic citation will be issued if you refused a lawful request for blood, breath or urine, or if you had a breath alcohol concentration over .08 (often called the “DUBAL”). For other types of DUI cases, a standard uniform traffic citation will be issued. In Florida, the Department of Highway Safety and Motor Vehicles (DHSMV) is responsible for the administration of all Uniform Traffic Citations. If you were issued a DUI uniform traffic citation, then contact an experienced criminal defense attorney at the Sammis Law Firm to discuss your case. We fight every kind of DUI case involving a breath test, blood test, urine test, or refusal to submit to testing. Whether this is your first offense, or a second or subsequent accusation, we can help. Our offices are conveniently located in Tampa, FL. We also have a second office located in New Port Richey directly across from the West Pasco Judicial Center. Under section 943.05(2)(d), F.S., the Florida Department of Law Enforcement (FDLE) has promulgated rule 11C-4.009, of the Florida Administrative Code (F.A.C. ), which created a uniform alcohol influence report and a uniform probable cause affidavit to be used by the arresting officer when making DUI arrests under section 316.193, F.S. Officers are permitted to continue to use other affidavits and reports and to include supplemental documentation. Although the statute mandates the use of these forms, the statute also provides that the failure to use the uniform alcohol influence report or the uniform probable cause affidavit does not prohibit prosecution for a violation of section 316.193, F.S.. 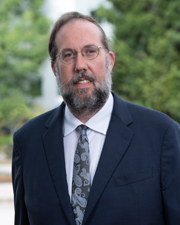 Although the statute mandates the use of these forms, the statute also provides that the failure to use the uniform alcohol influence report or the uniform probable cause affidavit does not prohibit prosecution for a violation of section 316.193, F.S..
(1) A Uniform Probable Cause Affidavit, FDLE Form PCA 1 – March 2004, is hereby incorporated by reference and adopted for use by all law enforcement agencies in the State of Florida when making DUI arrests pursuant to Section 316.193, F.S. (2) A Uniform Alcohol Influence Report, FDLE Form AIR 1 – March 2004, is hereby incorporated by reference and adopted for use by all law enforcement agencies in the State of Florida when making DUI arrests pursuant to Section 316.193, F.S. (3) This rule shall not preclude the use of other probable cause affidavits or alcohol influence reports, and law enforcement agencies are authorized to supplement the Uniform Probably Cause Affidavit or the Uniform Alcohol Influence Report with additional affidavits and reports. (4) Failure to use the Uniform Probable Cause Affidavit or the Uniform Alcohol Influence Report shall not prohibit prosecution of a person arrested for a violation of Section 316.193, F.S., and shall have no effect on the legality or validity of such arrest. (5) The above-referenced forms may be obtained by contacting the Florida Department of Law Enforcement, Alcohol Testing Program, P.O. Box 1489, Tallahassee, Florida 32302. Specific Authority 943.05(2)(d) FS. Law Implemented 316.193, 943.05(2) FS. History- New 7-27-04. Latest Information from the DHSMV – Find the latest information from the DHSMV about the administration of the uniform traffic citation (UTC) Administration, the Data Element Dictionary (ICD), the Uniform Traffic Citation Manual, and standard citations in other types of DUI cases.